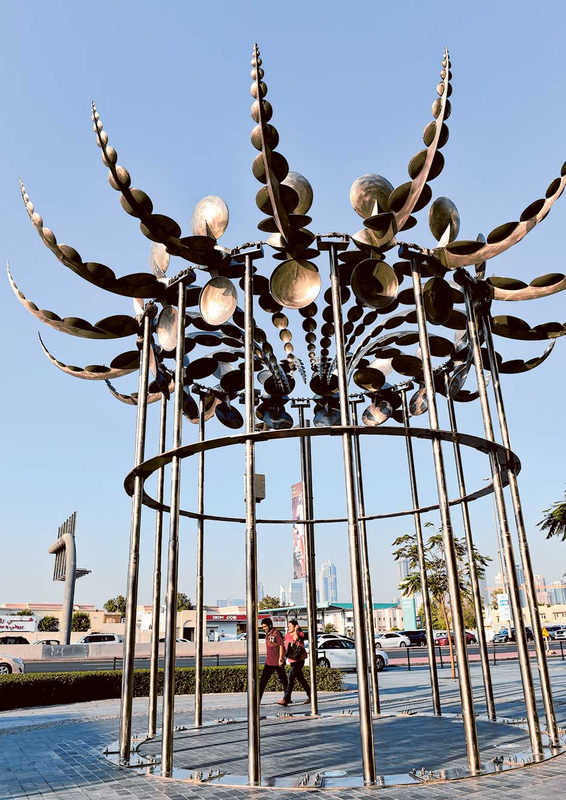 Dubai: Renowned American artist Anthony Howe has installed two kinetic sculptures in Dubai. Howe creates wind-driven sculptures resembling pulsing, alien creatures and vortices. He makes use of computer-aided design, shaping the metal components with a plasma cutter, and completing his work by use of traditional metalworking techniques. City Walk, the latest addition to Dubai’s shopping and dining scene, received ‘Octo 3’ by Howe within its premises recently. The installation, envisioned as one of the largest stainless steel kinetic sculptures in existence, stands at an imposing height of 7.6 metres and weighs 3,200kg. It is open to visitors and located in front of Paul and Argo Tea Cafe. The Beach, an upbeat destination by Meraas, is home to ‘Octo 2’, another installation by the American artist. Designed to withstand wind speeds of up to 140km/h, while moving at constant speed, the sculptures work equally well in gentle breezes. At night, colourful lights add a different dimension to their beauty. The artist hopes the pieces assume a spare, linear elegance when conditions are still, gaining wild vigour in motion when the wind picks up. Howe has been creating kinetic figures for more than 17 years. Although computers and 3D technology play a role in his designs, he is emphatic about the importance of good, old-fashioned imagination and hard work play in his craft. It took him six months of 14 hour-days, seven days a week, to complete the work or ‘Octo 3’ alone, he says. Occasionally, he does make figurative pieces, he says. But coming to Dubai was not all work and no play for the artist. 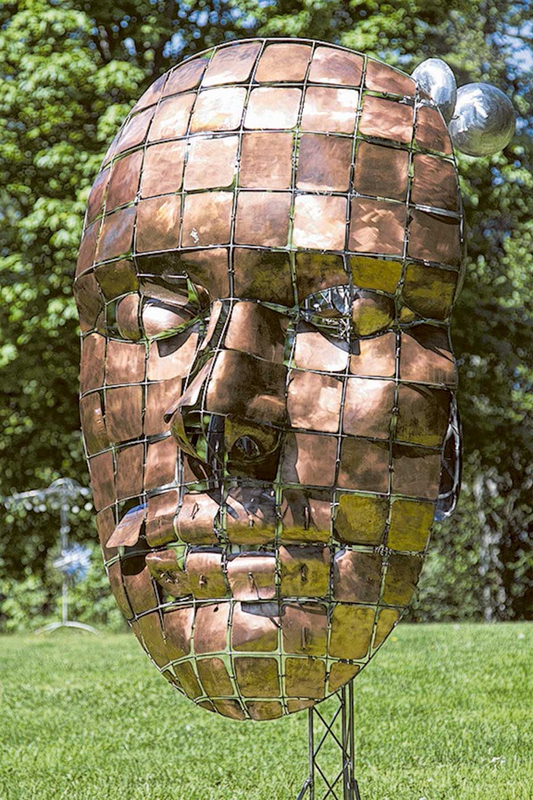 With his Dubai project done, he is working on the design and fabrication of four new large scale sculptures being made for him at various fabrication facilities in the US, Canada and Germany. Born in Salt Lake City, Utah, Howe attended the Taft School in Watertown, Connecticut followed by Cornell University and the Skowhegan School of Sculpture and Painting. He now lives on Orcas Island, Washington, with his business partner wife, his website says. His work has been showcased across the world.